Poland´s designated Minister of Finance Mateusz Szczurek wants the change the current Polish tax system fundamentally. Poland´s new Minister of Finance Mateusz Szczurek underlines the importance of a fiscal stability. A major reshufflement is currently under way at the Polish government. On Wednesday Prime Minister of Poland Donald Tusk announced that there will be personnel changes in November within the government which will be presented in November. According to Polish Finance Minister Rostowski, the government plans on extending a funding program for the support of small and medium sized companies in order to improve the country’s economy. The Polish Government has approved the budget plan for 2014 with the deficit gap closing further after a refurbishment of the private pension system. Poland takes back the partial privatization of pension system. The re-nationalization does not affect Poland´s sovereign debt rating. In order to adapt to the slow economic growth the government has amended the budet by permitting this year’s budget deficit to increase to PLN 16bn as well as approving PLN in spending cut, as announced at a press conferenced on Tuesday. PiS chief opposition calls for parliamentary inquiry into public finances. After the Polish government has announced to postpone its austerity plans, the National Bank of Poland calls the government to submit an updated fiscal outlook. On the one hand, Poland´s government wants to keep an eye on the Maastricht Criteria. On the other hand, the economic growth would shrink even more without a fiscal stimulus. In order to boost Poland´s economic growth, the government wants to ease the fiscal discipline. Polish Finance Minister Jacek Rostowski has criticized the Environment Ministry for the planned national participation in the production of shale gas. Hydrocarbons tax on hold till 2020 to enhance investments in shale gas. Polish economy is not expected to rebound as soon as the second half of this year and only on the condition that export partners see a growing GDP rate. In order to fulfill the Maastricht Criteria sustainably, Poland wants to reduce the budget deficit to 1.0% of GDP in 2015. The council of fiscal policy has cut interests rate down to 3.25 % which is the lowest since Poland’s democratic turnaround in 1989. Despite the economic slowdown, Poland´s Minister of Finance Jacek Rostowski demonstrates optimism. Governor of NBP (National Bank of Poland) Marek Belka and Poland´s Minister of Finance Jacek Rostowski want to accelerate Poland´s approach to the Eurozone. For the time being, Poland wants to meet the Maastricht Criteria. The date for entering the Eurozone will be fixed in 2015. Even though Poland’s rating outlook has been revised from “A-“ to “A” by Fitch it still has to face political reforms in order to improve its economic competitiveness. Poland´s government has completed a government reshuffle. 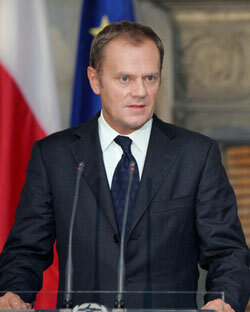 Finance Minister Jacek Rostowski was promoted to Donald Tusk´s Deputy Prime Minister. According to Poland´s Minister of Finance Jacek Rostowski, the real interest rates are still too high. Rostowski wants to boost economic growth. Minister of Finance Jacek Rostowski wants his country to join the Eurozone. However, Poland has to implement fiscal reforms, he claims. Poland´s Minister of Finance expects that the economic slowdown will continue for the time being. The slowdown of the Polish economy continues. The government is becoming impatient. Polish minister of finance Jacek Rostowski wants NBP (Polish National Bank) to lower the base rate further. Polish citizens still reject giving up their national currency. The government wants to persuade the people. Poland´s National Bank has decided to lower the base rate for the third time in a row. Further interest cuts are likely, NBP´s governor Marek Belka told FT in an interview. Poland´s Minister of Finance Jacek Rostowski wants to define a criteria catalogue for Poland in order to create the accession “safe and advantageous”. Poland´s new Deputy Prime Minister Janusz Piechocinski forecasts an upward trend beginning in the second half of next year. Poland´s Minister of Finance Jacek Rostowski announced that his country wants to become a member of the Eurozone. 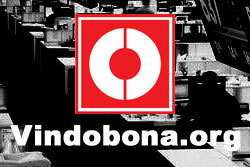 However, the problems of the Eurozone must be solved before, he said. Today, Poland´s Prime Minister Donald Tusk explained that Poland may become a member in the single supervision mechanism. Poland´s Minister of Finance Jacek Rostowski thinks that NBP (National Bank of Poland) does not cut interest rates quickly enough. 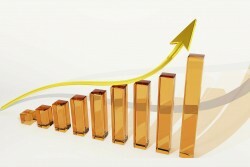 In the third quarter, annual GDP growth was below 2%, the Polish Ministry of Finance said today. Poland´s Minister of Finance Jacek Rostowski is optimistic that economic growth will accelerate next year. The governor of the Polish National Bank (NBP) Marek Belka demonstrates optimism. The Polish National Bank may reduce the base rate further. Poland´s economy is expected to slow down next year. Regarding the medium-term economic development, the Polish Finance Minister Jacek Rostowski proves confidence. The Polish economic growth flattens. 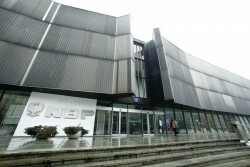 NBP´s council member Andrzej Rzonca wants the interest rate to be cut. Despite the economic slowdown, the Polish Minister of Finance Jacek Rostowksi says that the country is safe from the economic crisis. The Polish Minister of Foreign Affairs Radoslaw Sikorski says that Poland will fulfill the Maastricht Criteria in 2015. The Polish Minister of finance Jacek Rostowski stresses that the planned budget deficit will not be higher than PLN 35.6bn. The Polish economist Jan Krzysztof Bielecki is optimistic regarding the development of Poland´s economy. Initially, the Commission of the EU intended to introduce the banking union in 2013. After the fierce resistance of some member states, the Commission gives up its plans for the time being.